At one time, every bathroom included a bathtub. Today, while upgraded showers are becoming the norm, many homeowners still enjoy a nice, long soak in the tub. 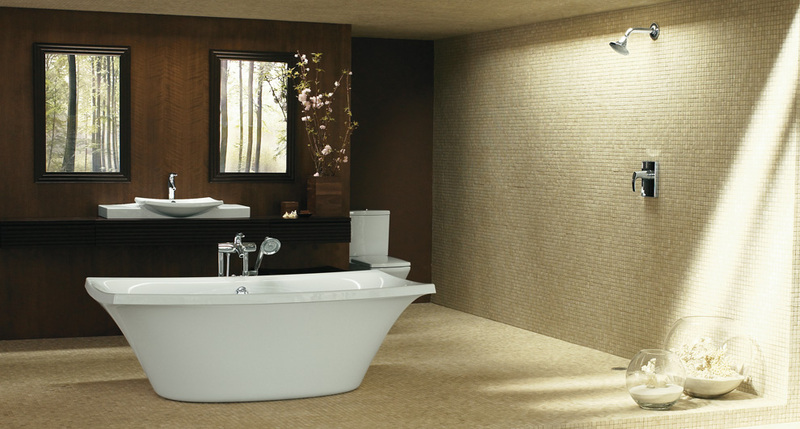 Before you choose a new bathtub, read on for some tips on how to find the best one for you. 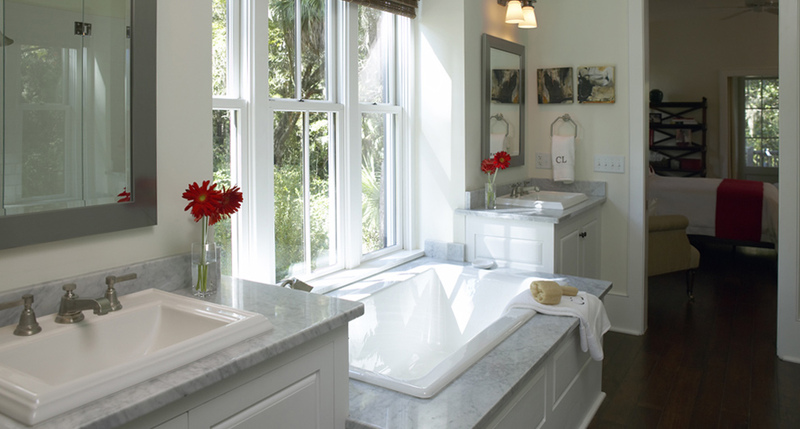 Before you settle on the tub you want for your bathroom, you have some questions to answer. First, determine the amount of space you have to work with. Some bathrooms are very limited on space, making many tubs simply too large to install. If you have at least 6 feet in length and 3 feet in width, you are in luck; nearly any tub will work in a space of that size. You will also need to decide how you wish to install the tub. While some tubs are freestanding – like clawfoot tubs – others are intended for installation in either a corner or a 3-wall alcove. The space you have will determine which option works best for you. Next, think about the reason you would like a tub, and what you plan to use the bathtub for. (BEYOND bathing, I mean!). Do you have a sore back, and would like to have massaging action to sooth those muscles? If so, a whirlpool or jetted tub will be your best bet. Or, are you planning to use the tub solely for relaxation? Perhaps a bubble tub or a soaking tub are better choices. A bubble tub forces air through tiny holes in the lower parts of the tub, creating a softer, gentle action in the tub – much less vigorous than a jetted tub. Be aware that both jetted and bubble tubs can be noisy; if possible, check out a functioning sample at a local plumbing showroom before making a final choice. A soaking tub has neither jets nor bubbles. It is simply a nice, deep tub made for long, relaxing soaks at the end of a long day. Something else to consider…do you want room for more than one person in the tub? Often, these tubs need a corner space to accommodate their size. But, if you have the space, this can be a fun thing to think about. 🙂 Technological advances, including hydrotherapy, chromatherapy and audio-integrated bathtubs give you dozens more options to consider. Consider, too, the maintenance involved with any bathtub you are considering. While bath oils can be used with bubble and soaking tubs, they can create problems with jetted tubs. The oils coat the insides of the tub, causing them to gum up over time. Often, these tubs also have a heater which will keep the water hot as it circulates. Be sure you know whether your jetted tub comes with a heater. Any type of jetted or bubble tub will need regular cleaning and maintenance to remain at peak performance; be sure to ask about the specific models you are considering, so you know just what you are getting into. The water capacity of the bathtub is something few people consider when shopping for a bathtub, but it can be very important to note. Some large soaking tubs can hold 100 gallons of water or more. With such large water needs, a larger water heater or a second water heater may be needed to supply enough hot water to fully enjoy your bath. Style is clearly an issue with any home remodeling project, and choosing a stylish bathtub is also essential. Often, the bathtub is the same color as the toilet and possibly the sink in the room. In tight spaces, a full-height shower surround can be integrated with the tub. 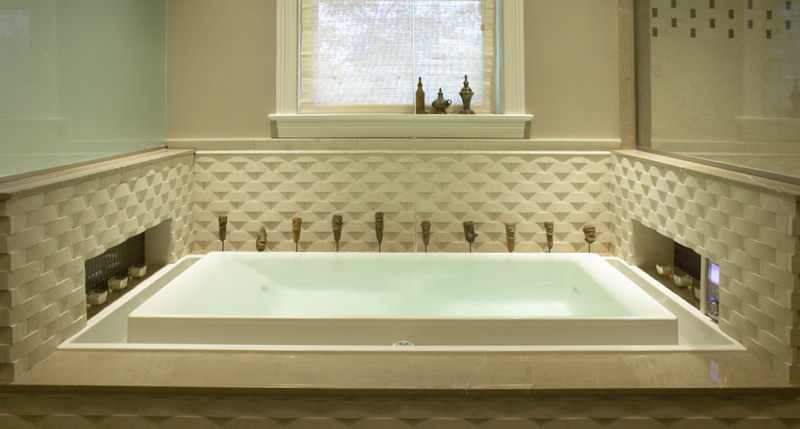 Or, ceramic tile can be installed above the tub for added style. Choose a tub that coordinates with the style of your home and the room; modern, traditional and transitional options abound. A bathtub can be the central showpiece of your new bathroom. Ask the right questions so you can make the very best choice for your home and to fit your lifestyle.